However, when that 4th diagnosis hit. I started to wonder where my “Buddy” side was? I didn’t feel like me. In fact, I wasn’t just lacking “Christmas cheer”. As I referred to earlier, I was fuming mad! Don’t get me wrong, I wasn’t giving up. I’ll NEVER give up! Yet, sometimes, you just want to look up at the sky and say, “Hey! UNCLE!! !” Enough is enough. You moan, whine,… sleep for days like a depressed bump on a log. You feel nothing of your usual “self”, aware and unaware that it’s happening … all at the same time. Until one day, you look around you and see what you’re missing out on during your “slump”. That’s when it normally happens. That God given “Aha!” moment occurs. Whenever I even begin to think of the negatives, God makes an appearance to slap me in the face with blessings, reminding me that what is most important is HIS consistent presence in my life. No matter how tough the road gets, HE HAS NEVER AND WILL NEVER LEAVE ME. I can’t even begin to count the ways that He has proved this! Most often, He shows me through YOU. Our family has been loved, prayed for, and supported in ways that are beyond my understanding. I’ve been in awe of God’s presence shown to me through others acting as the very hands and feet of Jesus. And what do ya know? Hiw timely that I’ve been most significantly “slapped in my face” again, just before HIS birthday, as we prepare our hearts for His coming. Ain’t his timing grand? Right when I want to scream and think… don’t you see what’ s happening here?!?! The timing of this couldn’t be more… perfect. In the end, he finds a way to make it what seems terrible… perfect. I can’t believe I’m saying that! Honestly, I could cry an ocean of tears, and I do quite regularly of how different the timing of all of this is from what I ever envisioned for my life as a mom raising 5 beautiful children. How I cried last night when I realized I just can’t go to the kids’ school Christmas parties because my immune system is shot. I’m sick and I just can’t afford to risk it. (Yes, I cried like a baby. Sniff. Sniff.) It breaks my heart to miss a thing. How I always imagined myself being a room mom for my kiddos, yet I’ve never had the chance because I was either pregnant, just had a baby, or now… will perpetually have cancer. Without a cure, this is now something that I’ll always face. I’m the “unpredictable mom” that can’t necessarily be counted on to be there at the party, fulfill what she signed up for amidst the other moms for that field day, etc. It’s a tough one. But then God reminded me so clearly… I AM STILL HERE. I felt God staring me down, saying… “You are blessed. I am with you. You have much to be thankful for.” And He is so right. I am here with my family and in whatever way, shape, or form that is… it’s a chance. It’s a gift. And I am grateful. I give thanks for life. However He’ll give it to me, if it means I can be with my loved ones longer… I’ll fight whatever fight I need to fight just to hug them one more time. And HE WANTS ME TO HUG THEM MANY more times. I continue to feel that there is HOPE. I continue to feel that nothing is set in stone and there is always a chance for a miracle cure. I believe in that guy, who I imagine, lives in his mom’s basement somewhere, wearing a velour suit and big coke bottle glasses … and is working on my cure. I will never let go of HOPE. I won’t stop finding the rainbows in the midst of my storm, reminding me of God’s presence and that I’M NOT ALONE in this. I’ll continue to hold on to a GRATEFUL HEART, especially because of the love, prayer, and support that is so consistently shown to our family. I’ll remember to PAY IT FORWARD, and spread the same HOPE, JOY, LOVE, and FAITH that I’ve been given to as many people as I can. God has gifted our family through others. I want to return the favor. I will never stop PRAYING, BELIEVING, HOPING, THANKING… and FIGHTING, because I’ve been given a chance. I won’t take it for granted. All that being said… it’s time to PAY IT FORWARD. It’s Christmas time, and BUNA’s HOPE is ready to bless TWO families this year with a BUNA’S HOPE VACAY GIVEWAY!!!!!! At this time, last year, we surprised our first VACAY GIVEWAY recipients, the Meyers family. They returned with stories and excitement galore. But most of all, they were given TIME. After a battle with breast cancer, they were ready to have fun their wife and mom without all the stress and worry of treatment anymore. And she was ready for time together to see her babies smike and be there to enjoy every moment as a family. They got to break away and have a week in DISNEY WORLD filled with so many memories of HOPE, LAUGHTER, and FAMILY, helping to confirm their FAITH that “every little thing’s gonna be alright!” This is exactly what the dream and intention of BUNA’s HOPE has always been all about. We couldn’t have been happier with the outcome, thanking all of YOU for your donations and support to make it possible. Once again, we’re so very grateful to Kristen Schonberg Blackburn, “vacation specialist” at “Cupcakes Castles Travel Company, LLC “ for offering to donate her time and her compensation, as she did last year, to help the 2 families that are chosen this year. HOW DOES IT WORK? HOW WILL WE CHOOSE OUR WINNERS? The winners/2 deserving families, will be chosen by a random drawing of all of the entries that we receive within the next week. As much as I’d like to make this announcement before Christmas Day, I will give it a few extra days. For the sake of giving time for each of you to send in your entries/suggestions of families you feel should be in the drawing, I’ll defer to the timing of the true full season of Christmas that actually only begins on December 25th. (Christmas extends until the Feast of the Baptism of Our Lord, which is January 8th this year. ) I won’t make you wait that long. 😉 We will collect entries until the night before our final drawing. All entries must be turned in to teambuna@gmail.com by DECEMBER 26TH. .The drawing will take place on December 27th, by my “personal assistants”/children. 😉 We’ll take pics and videos and announce our winner to everyone after we’ve been able to contact the recipients and confirmed that they’re able to receive the gift. (FYI: *Double the reasons to keep that date DEC 27th on your prayer intention list: 1-Pray for the 2 families that will be drawn to receive this incredible gift of TIME on a family vacay, AND, 2- I will begin my 2nd round of chemo for this current time in the ring. Ding! Ding! WHO IS ELIGIBLE? We serve families in crisis. Illness, floods, fires, loss… There are many reasons that give families challenges and render themselves to feel they are facing a “crisis”-type of situation in their family’s life. 4) YOUR NAME (person suggesting this family) and email/phone to contact if needed. 5) WHY would you like to suggest this family for the 2017 Get away drawing? There are so many ways to show support, to show our love to one another, and to show our gratitude for all that we have… finding blessings in the midst of our storms. 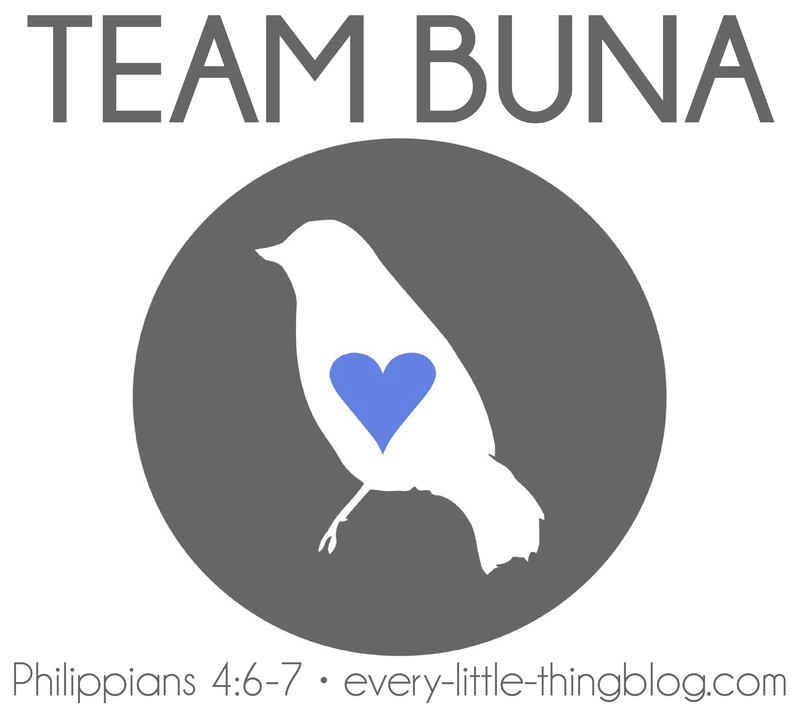 Thank you for supporting our family, supporting BUNA’s HOPE and being a part of TEAM BUNA so that we can all be a part of these types of acts of kindness, particularly now, during ADVENT and in preparation of the true CHRISTMAS SEASON. Below I’ve attached a few ideas of how we can all continue to “Play Santa”, pay it forward and keep the act of kindness train rolling. Pass it on and make this Christmas one to remember. I know I’m marking this one as a Christmas that, although not as I pictured, it’s one that I am humbled beyond belief. I am reminded how, on that very first Christmas, the Holy Family could’ve never imagined their life going quite this way. By the nature of the very conception of Christ, it was both shocking and humbling to be chosen. I can only imagine being 9 months pregnant and riding on a donkey in the cold, in search of an inn to give birth but finding yourself in labor in a stable amongst farm animals, hay, and cold to bring to this world the son of God! I am quite sure they saw that going differently! I often say that Mary needed a journal! Sooooo wish I had insight as to how some of their conversations went as she was riding that donkey in the cold, uncomfortably pregnant, with no where to stay. But then again… she was Immaculate Mary, full of grace. She handled it with humility and grace … and Joseph humbly served his new family. Wow. Thank you for humbling me. Thank you all for blessing me with your generosity and your prayers. 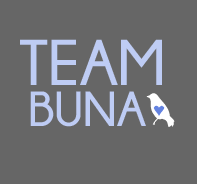 Thank you for being a part of TEAM BUNA and BUNA’s HOPE so that we can be that last innkeeper who extends whatever we have to give when it would seem all HOPE could be lost. Thank you. Thank you for making me feel like myself again. Thank you for helping me to find my inner spark again. Thank you, because I know it’s by your prayers that I have been filled and strengthened in my best and my hardest moments by the graces from your prayers. I’m finding my “Buddy the Elf” inside me again. I’m finding it just in time for Christmas. Thanks to you and my children… the miraculous magic of Christmas is alive and well in me. I’m back. Looking forward to hearing from you with your entries. Excited to bless some people this Christmas season. Wishing you all a very merry Christmas. Just as you’ve prayed for me, to show my thanks for each thought, gift, message, email, and prayer… I stop and say a pray for blessings upon YOU. God bless you. Thank you, Bonnie! I welcome and thank you for every prayer. God bless you! You continue to inspire everyone with your courage and Faith. I truly believe in the power of prayer and Miracles and if anyone deserves one it is YOU!! Love and prayers are with you and your precious family at this special time of year!! I appreciate that, Suzanne. Merry Christmas to you and your gorgeous family! Buna – Oh how I needed to read this at this very moment… I’ve been having trouble finding my inner “Buddy the Elf” this season as well. So thanks for reminding me of all the things I have to be grateful for, which are so many things. Love and prayers soaring your way as usual. Love you and Jason very much. Your witness is felt near and far. I can’t tell you how many people Bridget and I have met from outside Louisiana who know your story. You’re both inspiring. You have our continued prayers and admiration. Thank you, Susan. God has been good to us. Thank you for posting!! My new motto is.. I will not allow my joy to be stolen..I believe in JESUS CHRIST.. the Son of God.. who by His life, death and resurrection has reunited us to Our Father and has redeemed us. Here my joy lies… therefore it can not be stolen. You are a pure example of the supernatural joy Our Good Lord bestows on those whom love Him. God bless. And Merry Christmas. (Whoops!😉) …”supernatural joy” that you mentioned. No other explanation, but… GOD. I don’t normally do this Elise but I just want to tell you that we love you, Jason and the kids. Have a Merry Christmas and know that you have some prayer warriors in Kansas. Hugs and kisses to all especially for my goddaughter. May God continue to bless you with strength, peace and love. Jake!! So good to hear from you! Thank you for the love and prayers & hugs for your Goddaughter/our lil’ “Firecracker!” She was so excited!! Return the favor and hug Ramie and the kids for me. We miss y’all. Thank you for documenting and sharing our Holy Spirit working through you as He reminds us and teaches us through you. As I read this journal entry, and retread it, I kept having the image of Jesus on the cross crying out to our Father, “My God, my God, why have You forsaken Me.”, and then within a period of time,, Jesus coming back with, “I thirst.” Such a simple request of our Father. These words, part of Jesus’ final words have made me think, really think about how even in the end our greatest Teacher was giving us lessons on accepting our crosses and surrendering to our Father. He was teaching us that we can cry out to our Father (sit within our sorrow and confusion), but then, we thirst. We thirst for our Father. We thirst because He will never leave us. Our mouths (life) need to reach a point where we recognize our thirst, and then we can surrender again with our spirits in His Hands. God bless you and your family. We pray for you all often and offer up our masses for you. Wow, Joan!! What an amazing insight. Such impeccable timing, too. I needed this. Thank you. Merry Christmas to you and your family! Three little birds on repeat!!!!!! Merry Christmas to your beautiful family. Praying for you daily. Oh thank you! And merry Christmas to you! !